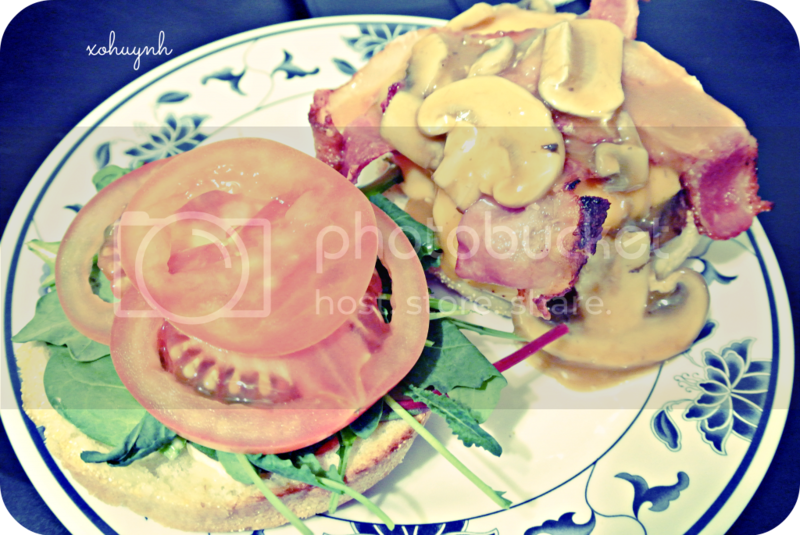 Here is the burger I made a couple weeks ago. It was pretty intense and delicious. 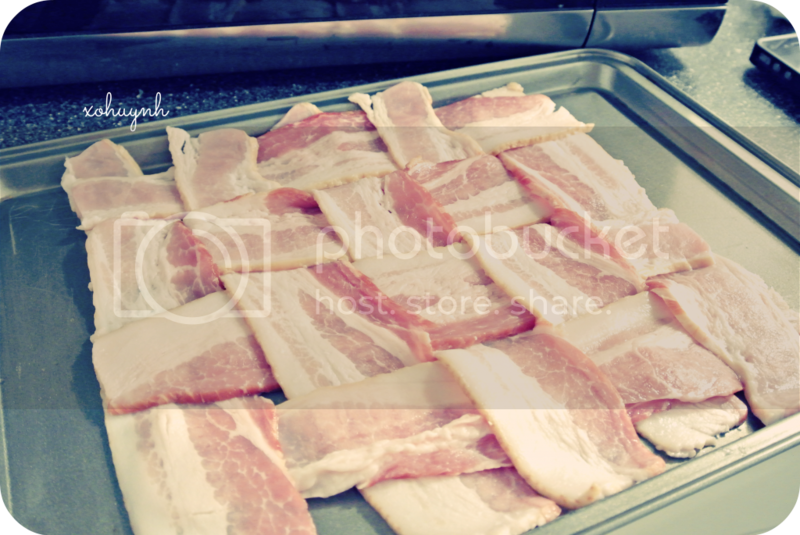 Epic Meal Time bacon weave. 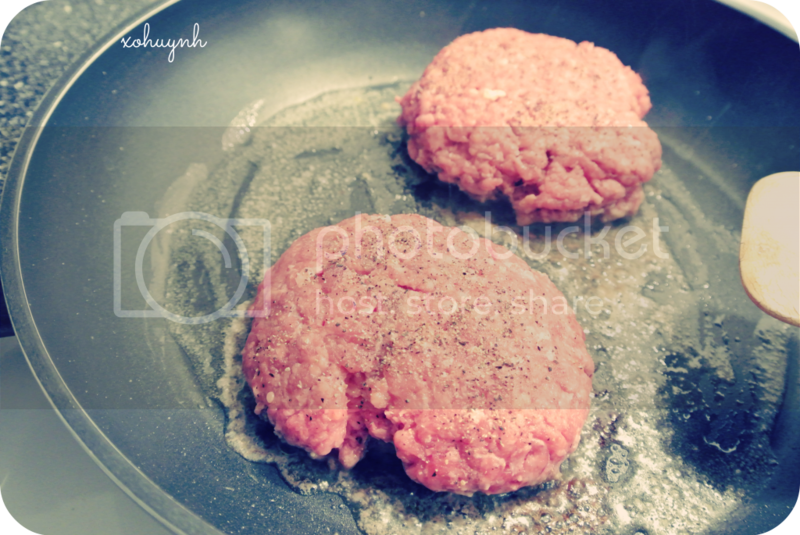 I had an awesome idea of baking it and than cutting the whole thing up into 4 smaller squares, to place on my burger. It fell apart when I flipped it. 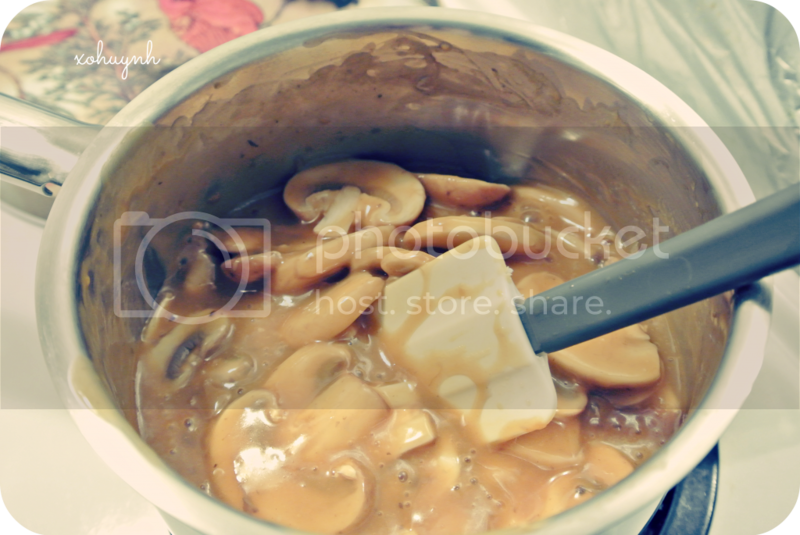 I made mushroom sauce...it was actually just golden mushroom soup with more mushrooms added. The patties where seasoned with salt & pepper. This burger was seriously HUGE & messy. My burger definitely beats McDonalds.